The main outdoors planting season for bulbs, corms and tubers are in the fall with bulbs on sale from mid-August to late November. Lilies have a very long growing season and, if they have had to be transported over great distances, may not arrive in time for the fall selling season. Buy them as soon as they arrive and plant immediately. If soil conditions are very bad pot them and plant out when conditions are good in the spring, do not store them. Many corms, though dormant during the winter, are not completely hardy and are liable to be killed in the soil before growth can start in the spring. 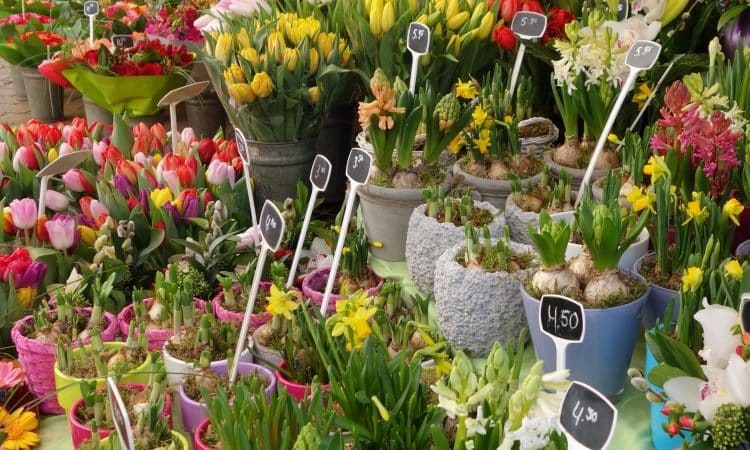 These are stored in frost-proof conditions and sold from late January to the end of April, for planting as soon as the soil (not the air) is frost-free. If potted up in a frost-free greenhouse they can be had in flower much earlier. Treated in this way they can be planted out as soon as air frosts are unlikely, but must be hardened off first. There is a small group of plants which flower in the fall, often well before their leaves, the main growth of which is not until spring. They have a short summer dormant season and are sold in July-August. 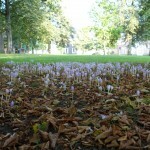 Bulbs are sometimes marked ‘prepared’. This means either that they have been heat treated so that they will flower before their normal season, or that they have been cool stored past their normal flowering season so that they flower later. 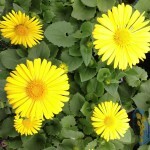 These are available in August-September and should be planted immediately for growing indoors for Christmas flowering. Greenhouse bulbs include those which are available in the fall but make their growth during the winter, e.g. ixias, Gladiolus nana. These can, of course, be planted outside in mild districts, and in any case, can be put out by the spring. Holding them dry until the spring is not always a success. They also include those plants which while they can be grown quite successfully outside can be obtained much earlier by growing in a cool house. Varieties of narcissi and tulips which will stand the treatment are ofter marked as forcing varieties. True greenhouse plants are those which need a higher temperature that is likely to be experienced outdoors, especially during the period September to May. Their planting seasons vary enormously and depend not only on the season of flowering or growth but also on the amount of heat that can be supplied.